Network topology controls how efficient and fast your underlying network is. With any server installation, network topology may be adversely effected. It is crucial that your underlying network architecture will be able to support (and take full advantage of) the services offered by your new Linux server. With every consultation and new Linux server installation, I always review the client's supporting network architecture, to determine if inefficient bottlenecks exist, and how to effectively mitigate any possible network issues. Nothing is more critical to server performance, than designing a server properly. CPU speed, hard disk drive capacity/redundancy, and memory size are all critical factors that will either positively effect your server's performance, or they will negatively affect your server's performance. Sometimes it is far too common that a client's new server cannot handle the loads that it was intended to handle, because of a hardware installation. Worse yet, a client may install a Linux Operating System that isn't designed for server performance or reliability. These mistakes can be extremely costly, in terms of both wasted time and money. Before beginning any Linux server installation, I always review with my clients their intended use of the server, as well as hardware specifications. This way, you can be assured that your Linux server will operate to it's fullest potential! Most of my clients don't have much experience with installing Linux Operating Systems- which is why I still have a job! After the initial recommendations have been made to my clients, I will then proceed with walking them through step-by-step with the Linux installation. I realize that my clients might not find this stage of the server installation the most pleasant, which is why I make every effort possible to make this stage the quickest and easiest stage for them! The Linux Operating System is installed as quickly and painlessly as possible (just the core Operating System and SSH for remote access), and then I walk my clients through enabling remote access via SSH. After that, I can continue to setup and configure their Linux server remotely. Although exact times may vary, usually this stage of the server deployment only takes 20-30 minutes. 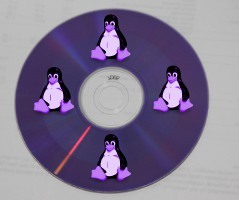 After the Linux Operating System has been installed, I will then remotely connect to the Linux server, and install the services and technologies that my clients depend on. Whether the server will be a VPN, Samba, SMTP, or HTTP server, I will install and configure the services running on the server to meet and exceed the client's needs. In addition, I can optionally optimize the server for faster performance (in the role of dedicated servers), so that the Linux server is running to the fullest of it's abilities. 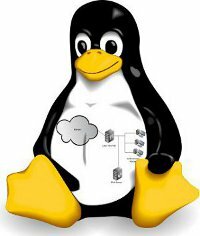 No server installation is complete, until clients can successfully connect to the Linux server. At this point, I will either leave instructions for client configurations, or walk the client through configuring client workstations over the phone. 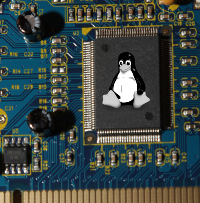 All too often, consultants will think that the Linux server installation is complete once a single client workstation can connect- this is not the case! I won't consider the Linux server installation complete until all client workstations can successfully communicate with the Linux server. In addition, I am familiar with all Windows Operating Systems, so I can provide accurate step-by-step instructions for client configurations. After the initial server deployment, I will further support my clients by offering post installation support. 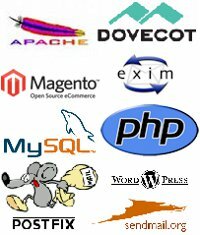 Linux server maintenance services are offered, as well as Linux administration services. Some freelancers will stop supporting a client once payment for a Linux server installation clears. 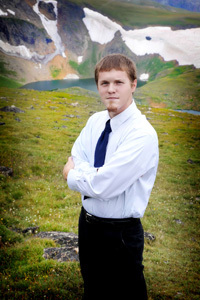 I always stand behind my work, and support my clients and their Linux servers!